Patient communication, practice promotion. PatientActivator does it all, automatically. More New Patients. More Production. InstallWe'll install your PatientActivator Concierge ™ for you - if you'd like, we can do it over the phone. Set-upOur support team sets up your account and helps you choose your preferences for all reminders. That's it!We go to work delivering reminders, reactivating patients and optimizing your online presence. THIS SUBSCRIBER AGREEMENT (this “Agreement”) describes the terms and conditions which are applicable to subscribers of the PatientActivator® service and related software (collectively, the “Services”) available under the domain and sub-domains of http://www.patientactivator.com, http://www.NationalDentalReviews.org and http://www.18DReputationMonitor.com (the “Site”). The Services and the Site are owned and administered by Futuredontics, Inc., a California corporation d/b/a PatientActivator (“Futuredontics,” “we” or “us”). The Site and the Services work with your practice management software to manage patient retention and relationships, analyze business operations and return on investment, and communicate with your patients (“Consumers”) via phone, e-mail or text message. Subscriber agrees to pay the current monthly service fee or promotional rate, as quoted. If Subscriber qualifies for a discount, any qualifying discount will be effective as of the first billing cycle following qualification upon written request by Subscriber. Additional fees for other services, including but not limited to, dormant, appointment reminder and re-care phone calls, will be charged monthly on an as-quoted basis. Futuredontics reserves the right to increase the monthly service fees upon thirty (30) days’ notice. Continued use of the Services or the Site after notice shall constitute your agreement to such increase. Monthly service fees are due and payable on the first business day of each month. Service fees for the first month of service may be prorated based on activation date. Subscriber authorizes Futuredontics to automatically debit the credit card provided by Subscriber, if any. If payment is not received when due, Futuredontics may suspend or terminate Subscriber’s use of and access to the Services or the Site. Late payments will incur late charges at a rate of 1.0% a month, or the highest interest rate allowable by law, whichever is lower. All payments shall be made in U.S. currency. If Futuredontics is deemed to be the prevailing party in connection with any litigation relating to any fees not paid by Subscriber in accordance with this Agreement, Subscriber shall reimburse Futuredontics for all reasonable attorney fees and costs resulting therefrom. If you activate the Services on the first day of the month, the term of this Agreement shall commence on such date and expire on the date twelve (12) months after such date. If you activate the Services on any day other than the first day of the month, the term of this Agreement shall commence on such date and expire on the date twelve (12) months after the last day of the month during which Services were activated. This term of this Agreement will auto-renew for an additional twelve (12) month period at the end of the then-current term unless either party hereto provides written notice of termination at least thirty (30) days prior to the end of the then-current term. (a)	During the first thirty (30) days of the term (the “Initial 30 Day Period”), Subscriber may terminate this Agreement by providing Futuredontics written notice of Subscriber’s intent to terminate no later than twenty-four (24) hours before expiration of the Initial 30 Day Period. Failure by Subscriber to provide such written notice will render this provision null and void. (b)	After the Initial 30 Day Period, there is no termination of convenience. Subscriber will be responsible for the balance of the term if Subscriber terminates this Agreement after the Initial 30 Day Period. Upon request of Subscriber within fourteen (14) days after termination, Futuredontics may, in its sole discretion, provide to Subscriber a download of patient review data in Excel format. Subscribers must provide a valid e-mail address, their legal name and any other required information to complete the registration process. As part of accessing the Site you will have a username. Subscribers are responsible for maintaining the privacy and security of their username and password. Futuredontics will not be held liable for any damage or loss that may result from your failure to protect your login information, including, but not limited to, your password. In addition, you will be financially accountable for all use of our Site by you and anyone using your password and login information. The parties agree that Futuredontics owns all right, title and interest to the trademarks, service marks, copyrights and other intellectual property rights related to the Services and the Site. During the term of this Agreement, subject to the terms and conditions of this Agreement, Futuredontics grants to Subscriber a personal, limited, non-exclusive, non-transferable right to use the Services and the Site solely for its own business purpose. Subscriber shall not sell, re-sell, license, sublicense, assign, distribute or make available the Services or the Site to any third party. Subscriber shall not modify or make derivative works of the Services or the Site; create links to the Services or the Site or frame or mirror any Site pages; or reverse engineer, republish or copy any materials from the Site or the Services. Use any device, software, or routine that interferes, or attempts to interfere, with the normal operation of our Site, or take any action that imposes an unreasonable load on our equipment. We will use our reasonable commercial efforts to keep the Service and Site available on a 24-hour/7-days-a-week basis, subject to necessary scheduled downtime for maintenance, unscheduled maintenance and system outages. We cannot promise that access to the Site will be uninterrupted or available at all times. We assume no liability to any user for any delay, interruption or downtime in connection with our operation of, and Subscriber’s access to the Service and the Site. Any aspect of any Site may be changed, supplemented, deleted, updated, discontinued, suspended or modified at any time at Futuredontics sole and absolute discretion and without prior notice to you. However, we make no commitment to update the information contained on this Site. You agree that Futuredontics shall not be liable to you for any delay or other damages that might result from such modification, suspension or discontinuance. Reviews and ratings do not reflect the views of Futuredontics; its affiliated entities; or its employees, officers, directors, or shareholders. We reserve the right, but do not undertake the obligation, to refuse or to remove any unacceptable review or other content in our sole and absolute discretion. A non-exhaustive list of unacceptable review or content includes, but is not limited to, the following: Offensive language, including obscenities, hate speech, or harassing, vulgar or explicit language; references to illegal activity; personal threats; or disclosure of personal information. We do not assume responsibility or liability for any claims, damages, or losses resulting from any use of the Site or any Review or other Content posted on the Site. You agree to defend, indemnify and hold Futuredontics, its directors, officers, agents, subsidiary companies, shareholders, employees, affiliates and representatives harmless from and against any losses, costs or claims, including court costs and attorneys’ fees and costs, arising from or relating to your use of the Services or the Site or your breach of any provision of this Agreement. You represent and warrant to Futuredontics that (i) you possess all right, power and authority to execute this Agreement and perform your obligations hereunder, (ii) the transactions hereunder will not result in a breach or violation of, or a default under, any agreement by which you are bound, and (iii) you will not engage in any of the following activities, and will make commercially reasonable efforts to ensure that your affiliates also will not: violate any law (including but not limited to the Federal Trade Commission Act, CAN-SPAM Act of 2003 or any applicable rules or regulations of the Federal Trade Commission); or engage in activities that: (a) give rise to criminal or civil liability or infringe any copyright, patent, trademark or service mark, trade secret rights or any other personal, moral, contract, property or privacy right of any third party; (b) contain or promote viruses, obscene, abusive, violent, bigoted, hate-oriented, cracking, hacking or warez content or conduct; or (c) encourage conduct that would constitute unlawful conduct or offensive conduct. THE SERVICES AND THE SITE ARE PROVIDED "AS IS" AND WITH ALL FAULTS AND DEFECTS WITHOUT WARRANTY OF ANY KIND. TO THE MAXIMUM EXTENT PERMITTED UNDER APPLICABLE LAW, FUTUREDONTICS MAKES NO REPRESENTATIONS, WARRANTIES, GUARANTIES OR CONDITIONS REGARDING THE SERVICES OR THE SITE. FUTUREDONTICS, ITS REPRESENTATIVES, PARTNERS AND AFFILIATES DISCLAIM ANY WARRANTIES AND REPRESENTATIONS OF ANY KIND WITH REGARD TO THE SERVICES OR THE SITE, INCLUDING BUT NOT LIMITED TO ANY IMPLIED WARRANTIES OR CONDITIONS OF MERCHANTABILITY, FITNESS FOR A PARTICULAR PURPOSE, TITLE, NON-INFRINGEMENT OF THIRD PARTY RIGHTS, FREEDOM FROM VIRUSES OR HARMFUL CODE. FUTUREDONTICS MAKES NO REPRESENTATIONS, WARRANTIES, GUARANTIES OR CONDITIONS AS TO THE QUALITY, SUITABILITY, TRUTH, ACCURACY OR COMPLETENESS OF THE SERVICES OR SITE. WITHOUT LIMITATION OF THE FOREGOING, FUTUREDONTICS PROVIDES NO WARRANTY OR UNDERTAKING, AND MAKES NO REPRESENTATION OF ANY KIND THAT THE SERVICES OR THE SITE WILL OPERATE WITHOUT INTERRUPTION, MEET ANY PERFORMANCE OR RELIABILITY STANDARDS OR BE ERROR FREE OR THAT ANY ERRORS OR DEFECTS CAN OR WILL BE CORRECTED. TO THE FULLEST EXTENT PERMITTED BY APPLICABLE LAW, FUTUREDONTICS SHALL NOT BE LIABLE FOR SPECIAL, DIRECT, INDIRECT, INCIDENTAL, CONSEQUENTIAL, TORT OR COVER DAMAGES; DAMAGES FOR LOSS OF PROFITS, DATA, BUSINESS OR GOODWILL, WHETHER OR NOT YOU HAVE ADVISED US OF THE POSSIBILITY OF SUCH DAMAGES; COSTS OF SUBSTITUTE SERVICES;OR LOSS OF DATA RESULTING FROM DELAYS, SERVICE BREACHES OR SERVICE INTERRUPTIONS. IN NO EVENT SHALL FUTUREDONTICS BE LIABLE TO SUBSCRIBER IN ANY AMOUNT THAT EXCEEDS THE AMOUNT OF FEES PAID OR CHARGED FOR THE MOST RECENT MONTH OF SERVICE. For the avoidance of doubt, Subscriber expressly agrees that Subscriber’s sole and exclusive remedy for any and all claims for damages under this Agreement is limited to the total sum of fees paid by Subscriber for one month. CE wishes to disclose certain information to BA some of which may constitute Protected Health Information (“PHI”) (as defined in the HIPAA Rules), in connection with BA’s performance of services for CE. CE and BA intend to protect the privacy and provide for the security of PHI disclosed to BA pursuant to the BAA in compliance with the Health Insurance Portability and Accountability Act of 1996, Public Law 104-191 ("HIPAA") and its implementing regulations, including the Standards for Privacy of Individually Identifiable Health Information (the “Privacy Rule”), the Security of Protected Standards for the Protection of Electronic Protected Health Information (the “Security Rule”), and the Breach Notification for Unsecured Protected Health Information Rule (the “Breach Notification Rule”); as amended or otherwise modified by the American Recovery and Reinvestment Act of 2009, including the Modifications to the HIPAA Privacy Security, Enforcement and Breach Notification Rules under the Health Information Technology for Economic and Clini¬cal Health Act, Public Law 111-005 (the “HITECH Act"), and regulations promulgated thereunder by the U.S. Department of Health and Human Services (the "HIPAA Regulations"); the Genetic Information Nondiscrimination Act; other modifications to the HIPAA Rules and Final Rule; and other appli¬cable state and federal laws and regulations. As part of the HIPAA Regulations, the Privacy Rule, the Security Rule, and the Breach Rule (defined below) require CE to enter into a contract containing specific requirements with BA prior to the disclosure of PHI, as set forth in, but not limited to, Title 45, Sections 164.314(a), 164.502(e) and 164.504(e) of the Code of Federal Regulations ("CFR") and contained in this BAA. The following terms used in this BBA shall have the same meaning as those terms in the HIPAA Rules and Regulations: Breach, Data Aggregation, Designated Record Set, Disclosure, Health Care Operations, Individual, Minimum Necessary, Notice of Privacy Practices, PHI, Required By Law, Secretary, Security Incident, Subcontractor, Unsecured PHI, and Use. “Breach” shall have the same meaning as set forth in 45 CFR Section 164.402. “Business Associate” (“BA”) shall generally have the same meaning as the term “business associate” at 45 CFR Section 160.103. “Covered Entity” (“CE”) shall generally have the same meaning as the term “covered entity” at 45 CFR Section 160.103. “Electronic Protected Health Information” shall mean any PHI which is also “electronic protected health information” as that term is defined in 45 CFR Section 160.103. “HIPAA Rules” and “HIPPA Regulations” shall mean the Privacy, Security, Breach Notification, and Enforcement Rules at 45 CFR Part 160 and Part 164 and under the HITECH Act. Individual. “Individual” shall have the same meaning as the term “individual” in 45 CFR Section 160.103 and shall include a person who qualifies as a personal representative in accordance with 45 CFR Section 164.502(g). Protected Health Information or “PHI” shall have the same meaning as the term “protected health information” in 45 CFR Section 160.103 that is created, received, maintained, transmitted, or accessed by BA from and on behalf of CE. Security Incident” means the attempted or successful unauthorized access, use, disclosure, modification, destruction of information or interference with system operations in an information system. Breach notifications to individuals, The HHS Office for Civil Rights (“OCR”), and potentially the media, will be handled by the CE. BA agrees to pay the actual costs of CE for such notifications, as long as the nature of the breach has been determined to have been caused by the BA or BA’s Subcontractor(s). Make its internal practices, books, and records available to CE and the OCR for purposes of determining compliance with the HIPAA Rules. To mitigate, to the extent practicable, any harmful effect that is known to BA of a use or disclosure of PHI in violation of the requirements of this BBA and shall cooperate with CE in the mitigation process. To acknowledge and agree that it shall have no ownership rights with respect to the PHI. To the extent that BA is to carry out one or more covered obligations under the Privacy Rule, Security Rule, Breach Notification Rule, and any and all other applicable state and federal laws and regulations. BA may only use or disclose PHI for the sole purpose of performing BA’s obligations as directed by CE and as permitted under this BAA. BA may use or disclose PHI as required by law. BA agrees to make uses and disclosures and requests for only the minimum amount of PHI necessary to accomplish the purpose of the request, use or disclosure. BA may not use or disclose PHI in a manner that would violate Subpart E of 45 CFR Part 164 if done by CE, except for the specific uses and disclosures set forth in paragraphs 5 and 6 below. BA may disclose PHI for the proper management and administration of BA or to carry out the legal responsibilities of the BA, provided the disclosures are required by law, or BA obtains reasonable written assurances from the third party to whom the information is disclosed that the information will remain confidential and used or further disclosed only as required by law or for the purposes for which it was disclosed to the third party, and a written agreement from the third party is in place outlining that the third party immediately notifies BA of any instances of which it is aware in which the confidentiality of the information has been breached. BA may provide data aggregation services relating to the health care operations of the CE. BA shall not (a) use or disclose PHI for fundraising or marketing purposes, except as provided in a separate contract between CE and BA, and consistent with the requirements of 42 U.S.C. Section 17936; (b) shall not disclose PHI to a health plan for payment or health care operations purposes if the patient has requested this special restriction and has paid out of pocket in full for the health care item or service to which the PHI solely relates, 42 U.S.C. Section 17935(a); and (c) shall not directly or indirectly receive remuneration in exchange for PHI, except with the prior written consent of CE and as permitted by the HITECH Act, 42 U.S.C Section 17935 (d)(2); however, this prohibition shall not affect payment by CE to BA for services provided at the direction of CE. BA shall not use PHI to create de-identified Health Information in accordance with 45 CFR Section 164.514(b) for purposes unrelated to this BBA without prior written approval of CE. CE shall notify BA of any limitation(s) in the notice of privacy practices of CE under 45 CFR Section 164.520, to the extent that such limitation may affect BA’s use or disclosure of PHI. CE shall notify BA of any restriction on the use or disclosure of PHI that CE has agreed to or is required to abide by under 45 CFR Section 164.522, to the extent that such restriction may affect BA’s use or disclosure of PHI. Material Breach. If either Party (CE or BA) knows of a pattern of activity or practice of the other Party that constitutes a material breach or violation of the BAA, or other arrangement, then the non-breaching Party shall provide written notice of the breach or violation to the other Party that specifies the nature of the breach or violation. The breaching Party must cure the breach or end the violation on or before thirty (30) days after receipt of the written notice. In the absence of a cure reasonably satisfactory to the non-breaching Party within the specified time frame, or in the event the breach is reasonably incapable of cure, then the non-breaching Party may do the following: (a) if feasible, terminate the arrangement; or (b) if termination of the arrangement is infeasible, report the issue to the Secretary of the HHS. Obligations of BA Upon Termination. Upon termination of this Agreement for any reason, BA shall return to CE (or, if agreed to by CE, destroy) all PHI received from CE, or created, maintained, or received by BA or its agents or subcontractors on behalf of CE, that the BA or its agents or subcontractors still maintain in any form. BA shall retain no copies of the PHI. BA shall certify in writing to CE that such PHI has been destroyed. If return or destruction of said PHI is not feasible, as determined by CE, BA shall continue to use appropriate safeguards and comply with Subpart C of 45 CFR Part 164 with respect to electronic PHI to prevent use or disclosure of the PHI other than for those purposes that make the return or destruction of such PHI infeasible. Survival. The obligations of BA under this Section shall survive the termination of this Agreement. Assistance in Litigation. BA shall make itself and any subcontractors, employees or agents assisting BA in the performance of its obligations under this BAA or any other arrangements between CE and BA available to CE, at no cost to CE, to testify as witnesses, or otherwise, in the event of litigation or administrative proceedings being commenced against CE, its directors, officers or employees based upon a claim of violation of HIPAA, the HITECH Act, or other laws related to security and privacy, except where BA or its subcontractor, employee or agent is named as an adverse party. Indemnification; Limitation of Liability. BA shall defend, indemnify and hold harmless CE, its parent and subsidiary corporations, officers, directors, employees, and agents from any and all claims, inquiries, investigations, costs, reasonable attorneys’ fees, monetary penalties, and damages incurred by CE to the extent resulting directly or indirectly from any acts or omissions of BA, including without limitation breach of this BAA by BA. CE shall defend, indemnify and hold harmless BA and its representatives for any and all claims, inquiries, investigations, costs, reasonable attorneys’ fees, monetary penalties, and damages incurred by BA and its representatives to the extent resulting directly or indirectly from any acts or omissions of CE, including without limitation breach of this BAA by CE. This provision shall survive the termination of the BAA. No Third-Party Beneficiaries. Nothing express or implied in the BAA is intended to confer, nor shall anything herein confer upon any person other than CE, BA and their respective successors or assigns, any rights, remedies, obligations or liabilities whatsoever. Notices. All notices or other communications required or permitted hereunder shall be in writing and shall be deemed given or delivered (a) when delivered personally, against written receipt, (b) if sent by registered or certified mail, return receipt requested, postage prepaid, when received, (c) when received by facsimile transmission, and (d) when delivered by a nationally recognized overnight courier service, prepaid, and shall be sent to the addresses set forth below or at such other address as each party may designate by written notice to the other by following this notice procedure. Authority. The undersigned representative acknowledges and warrants that he/she has the authority to bind the entity BA. Futuredontics maintains the Site in California and Subscriber agrees that this Agreement will be interpreted and construed in accordance with the laws of the State of California without reference to its choice of law rules. Any dispute or controversy arising out of or related to this Agreement shall be submitted to binding arbitration in Los Angeles County, California, upon the delivery by one party to the other of a notice specifying the nature of the dispute or controversy and demanding that the matter be sent to arbitration. The arbitrator will be one person who shall be independent of the parties. The arbitrator shall be selected by agreement of the parties to the dispute from the list of proposed arbitrators from JAMS. The arbitration shall be administered by JAMS in Los Angeles County, California pursuant to its Streamlined Arbitration Rules and Procedures then in effect. Judgment on the award may be entered in any court having jurisdiction. Notwithstanding the foregoing, arbitration does not apply and nothing in this Agreement shall prohibit a party from seeking injunctive or other equitable relief. The parties consent to the jurisdiction of such entity, agree to accept service of process by mail, and hereby waive any jurisdictional or venue defenses otherwise available to it. The parties are independent contractors, and nothing in this Agreement will be construed to create a joint venture, partnership, or an agency relationship between the parties. Neither party has the authority, without the other party’s prior written approval, to bind or commit the other party in any way. This Agreement constitutes the parties’ complete agreement as to the subject matter covered by this Agreement and supersedes all prior verbal or written agreements. Captions herein are for convenience of reference only and do not constitute a part of this Agreement. Subscriber may not assign or otherwise transfer any of its rights, or delegate or otherwise transfer any of its obligations or performance, under this Agreement, in each case whether voluntarily, involuntarily, by operation of law or otherwise, without Futuredontics’ prior written consent. Any purported assignment, delegation or transfer in violation of this Section 19 is void. This Agreement is binding upon and inures to the benefit of the parties hereto and their respective permitted successors and assigns. Notwithstanding any of the foregoing and excluding payment obligations, neither party shall be in breach or otherwise liable for events beyond the party’s control (other than events that could have been avoided or prevented by commercially reasonably foresight, planning or implementation), including, but not limited to, an act of God, fire, earthquake, flood or other natural disasters, power failures, acts of government or acts of any third party (each a “Force Majeure Event”). Each party experiencing a Force Majeure Event agrees to promptly notify the other party of the nature and expected duration, if known, of such Force Majeure Event. Notwithstanding anything in this Agreement to the contrary, Futuredontics shall have the right to unilaterally amend the terms of this Agreement by providing thirty (30) days’ advance written notice to Subscriber. Subscriber’s continued use of the service after such thirty (30)-day period shall constitute Subscriber’s agreement to any such revised terms. Under some circumstances we may require some additional financial information, such as, but not limited to: if you are registering using an email account at a free email service, or registering to sell on the Site. We use your financial information, including credit card information to verify the accuracy of your name, address, and other information, as well as to bill you for your use of our services. If you establish a credit account with us to pay the fees we charge, we collect some additional information, such as a billing address, a credit card number and a credit card expiration date. If you register for Futuredontics, Inc. on another web site or use a web site providing a service for Futuredontics, Inc. or a web site that helps facilitate your activity on Futuredontics, Inc., that web site may provide personal information about you and your transactions back to Futuredontics, Inc..
We use your personal information to facilitate the services you request. We use your personal information in the file we maintain about you, and other information we obtain from your current and past activities on the Site to: resolve disputes; troubleshoot problems; help promote a positive user experience; collect fees owed; measure consumer interest in our products and services, inform you about online and offline offers, products, services, and updates; customize your experience; detect and protect us against error, fraud and other criminal activity; enforce our User Agreement; and as otherwise described to you at the time of collection. At times, we may look across multiple users to identify problems or resolve disputes, and in particular we may examine your personal information to identify users using multiple User IDs or aliases. We may compare and review your personal information for errors, omissions and for accuracy. Legal Requests.Futuredontics, Inc. cooperates with law enforcement inquiries, as well as other third parties to enforce laws, such as: intellectual property rights, fraud and other rights, to help protect you and the Futuredontics, Inc. community from bad actors. Therefore, in response to a verified request by law enforcement or other government officials relating to a criminal investigation or alleged illegal activity, we can (and you authorize us to) disclose your name, city, state, telephone number, email address, UserID history, fraud complaints, and bidding and listing history without a subpoena. Without limiting the above, in an effort to respect your privacy and our ability to keep the community free from bad actors, we will not otherwise disclose your personal information to law enforcement or other government officials without a subpoena, court order or substantially similar legal procedure, except when we believe in good faith that the disclosure of information is necessary to: prevent imminent physical harm or financial loss; or report suspected illegal activity. Further, we can (and you authorize us to) disclose your name, street address, city, state, zip code, country, phone number, email, and company name to Futuredontics, Inc. VeRO Program participants under confidentiality agreement, as we in our sole discretion believe necessary or appropriate in connection with an investigation of fraud, intellectual property infringement, piracy, or other unlawful activity. We offer you the ability to automatically review and change the information you submit to us by logging into the Site and entering in the new information yourself. Generally, we will not modify your personal information based on your request because it is very difficult to authenticate your account manually. You can change your email address, personal information, financial information and user preferences by going the preferences section in My Account. You must promptly update your personal information if it changes or is inaccurate. Once posted, you may not be able to change or remove any public postings made on the Site including our chat rooms or other message areas. Upon your request, we will deactivate your account, contact information, billing information, shipping information, and financial information from our active databases. To make this request, email support@patientactivator.com. Such information will be deactivated as soon as reasonably possible based on your account activity and in accordance with our deactivation policy and applicable law. We will retain in our files some personal information you have requested to remove to prevent fraud, collect any fees owed, resolve disputes, troubleshoot problems, assist with any investigations, enforce our User Agreement and comply with legal requirements as is permitted by law. Therefore, you should not expect that all of your personal information will be completely removed from our databases in response to your requests. However, such personal information will be deactivated from public and member viewing and will only be available to select Futuredontics, Inc. personal. Your information is stored on Futuredontics, Inc.'s servers located in the United States. We use procedural and technical safeguards to protect your personal information against loss or theft as well as unauthorized access and disclosure to protect your privacy, including encryption, firewalls and Secure Socket Layers. We treat data as an asset that must be protected against loss and unauthorized access. We employ many different security techniques to protect such data from unauthorized access by users inside and outside the company. However, "perfect security" does not exist on the Internet. Otherwise violate Futuredontics, Inc.'s User Agreement. Futuredontics, Inc. does not permit or authorize any attempt to use the Futuredontics, Inc. Services in a manner that could damage, disable, overburden or impair any aspect of any of the Futuredontics, Inc. Services, or that could interfere with any other party's use and enjoyment of any Futuredontics, Inc. Service. If Futuredontics, Inc. believes that unauthorized or improper use is being made of any Futuredontics, Inc. Service, it may, without notice, take such action as it, in its sole discretion, deems appropriate, including blocking messages from a particular internet domain, mail server or IP address. Futuredontics, Inc. may immediately terminate any account on any Futuredontics, Inc. Service which it determines, in its sole discretion, is transmitting or is otherwise connected with any e-mail that violates this policy. Nothing in this policy is intended to grant any right to transmit or send e-mail to, or through, the Futuredontics, Inc. Services. Failure to enforce this policy in every instance does not amount to a waiver of Futuredontics, Inc.'s rights. Unauthorized use of the Futuredontics, Inc. Services in connection with the transmission of unsolicited e-mail, including the transmission of e-mail in violation of this policy, may result in civil, criminal, or administrative penalties against the sender and those assisting the sender. If you have any questions about these Terms please contact Futuredontics, Inc. at support@patientactivator.com. PatientActivator reminds your patients about their recare/recall visits. Patients who have not been in the practice in six months (and who do not have a future appointment scheduled) are notified that they are overdue for a checkup and encouraged to schedule an appointment. Notifications can be delivered via e-mail, text message or phone. Our optional phone reminders can also include a personal greeting recorded in your voice. See how your patients will experience your PatientActivator communications. PatientActivator reactivates patients your office has not seen in the last 12 months. First, we determine if any of your dormant records are patients you no longer wish to see for any reason. Then we automatically send customized messages to all your dormant patients by e-mail, text message or phone. PatientActivator automatically sends your patients personalized birthday wishes via e-mail or text message. PatientActivator delivers customized digital newsletters to your patients. Simply select the articles and the dates you’d like the newsletter to be delivered. Newsletters can also be scheduled for an entire year in advance, so you can have regular communication with your patient base. Your PatientActivator service comes free with a personalized web page that promotes your practice directly on search engines such as Google, Yahoo, Bing and more. Your customized 3-page site will be hosted on NationalDentalReviews.org – a domain that conveys credibility and is attractive to consumers. PatientActivator automatically populates your personalized web page with reviews from your patient surveys to improve your online reputation and Web presence. PatientActivator lets you create custom marketing campaigns to send ANY message to ANY group of patients. Design your own e-mails or text messages to promote specials, announce changes to your schedule, introduce a new technology — or anything you can think of. You have complete control over the message design, content and recipient list. We have a library of pre-made templates to choose from, or you can design your own template (if you or someone on your staff is familiar with html). 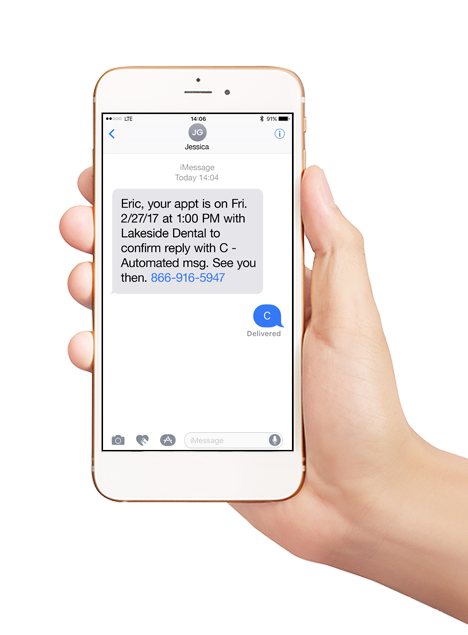 PatientActivator automatically sends patients a survey three days after their scheduled appointment. Surveys ask patients to share their experience and can be customized to include the questions you feel are most important. The results are posted to your MicroSite page to help increase your search engine rankings. I couldn't believe how easy it was to set up and how it just works on its own. Just wanted to say thanks for this great service! PatientActivator does in 30 seconds what used to take us over 2 hours everyday! We think your service is the GREATEST! Our partners love it! We love that it saves time when confirming apointments. Thank you for everything. My practice is more profitable now that we're using PatientActivator. No Question. Less Than Half The Price of Similar Products. PatientActivator 101 is for anyone interested in learning how to fully configure and utilize every benefit of our system. This is a free service that will teach you everything you need to manage your own account. PatientActivator 101 is a self-paced course that takes approximately 30 minutes to complete in its entirety. Please use the below link to register for the course. © 2019 Futuredontics, Inc. All Rights Reserved.